This creamy rice pudding is delicately flavored with cardamom and full of nuts. It's a great dessert for any time of the year. In south and east India versions of it are made for certain festivals. 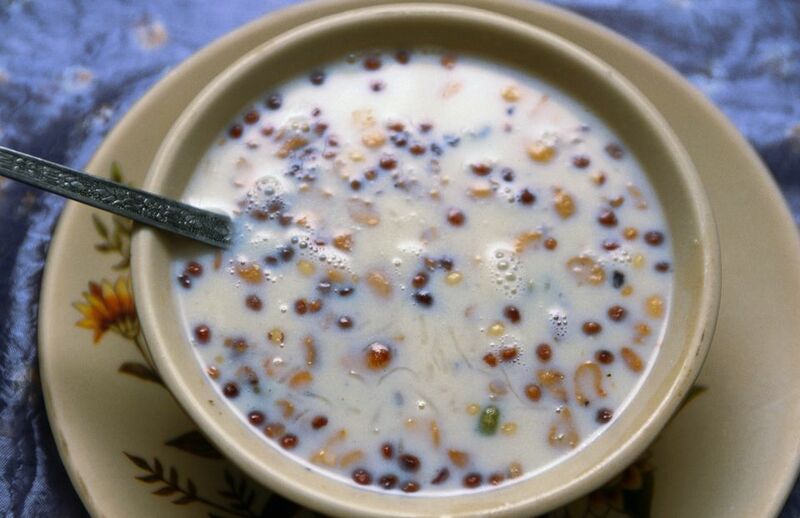 In the South, kheer is called payasam and in the east it is known as payesh. Wash the rice well and soak for half an hour in enough water to cover it fully. Put the milk, condensed milk and sugar in a deep, thick-bottomed pan and boil. When the milk comes to a boil, add the rice and simmer. Cook till the milk thickens and reduces to half its original volume. Add the almonds, raisins, and cardamom and cook for 5 more minutes. Turn off the cooktop and add the saffron. Stir well. Allow the kheer to cool, then chill. Serve cold garnished with rose petals.